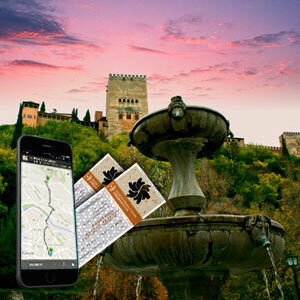 You should collect your entrance ticket and the Audio Guide the same day of your visit, between 13.30am and 14am at our "Welcome Visitor Centre", located just at 100 meters from the Parking number 1 of the Alhambra. The time of entrance to the Nasrid Palaces will be indicated on your entry ticket. Our Visitors Center will be open from 8.30am.